Proudly representing East Atlanta’s Zone 6, Mal & Quill are rising up on a wave of grassroots support. Ready to level up and reach a hungry new audience, Mal & Quill sharpen their bars and enhance their rhythmic hooks on Blessed Lil Bastards 3. 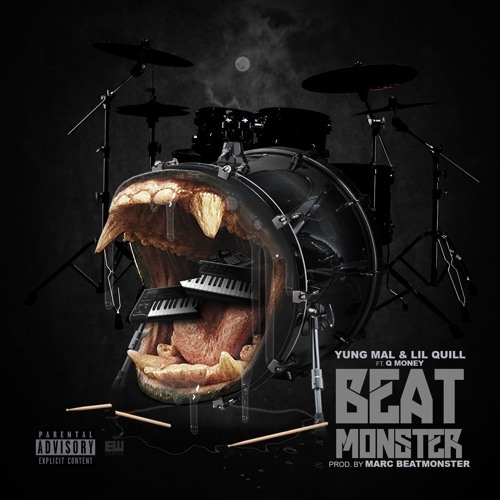 Though many ATL rappers opt to face the relentless grind as solo artists, Mal & Quill accentuate each other’s strengths, as Yung Mal’s smooth and percussive flow contrast against Lil Quill’s drawly cadences and irreverent ad-libs. The follow-up to the duo’s Summer 2018 mixtape Souf6, the duo’s collaborative tape with rising producer Richie Souf, Blessed Lil Bastards 3 is a testament to the Zone 6 group’s ride-or-die bond, as they exhibit a chemistry unseen in their city since the early days of Migos. Blessed Lil Bastards 3 arrives this fall via 1017 Eskimo/Alamo.